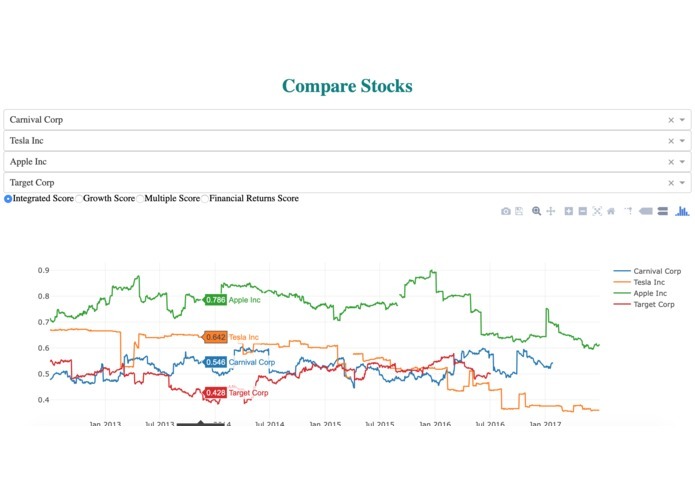 We were interested in applying our data analysis skills to a real world problem like Stock analysis. We got the data and spent the first day figuring out what the data meant. After this, we cleaned the data and tried to extract meaning from it by analyzing it. 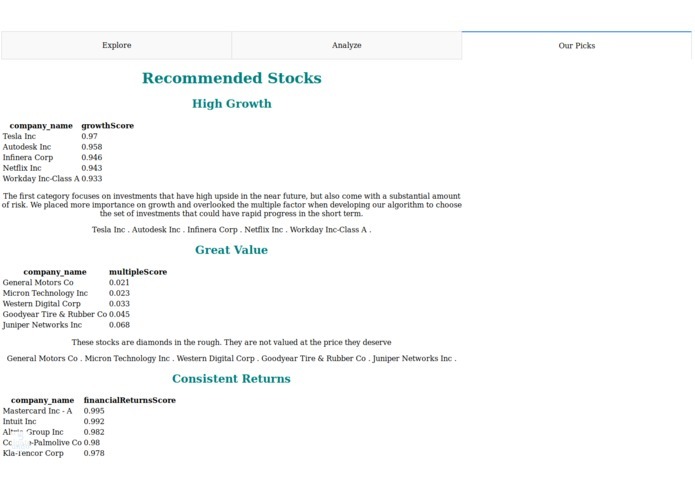 This application presents the Goldman Sachs Marquee data in a user-friendly manner and then also recommends stock picks in different categories based on user preferences. Figuring out the front-end aspect of the project. We spent too much time trying to figure out various front-end platforms. 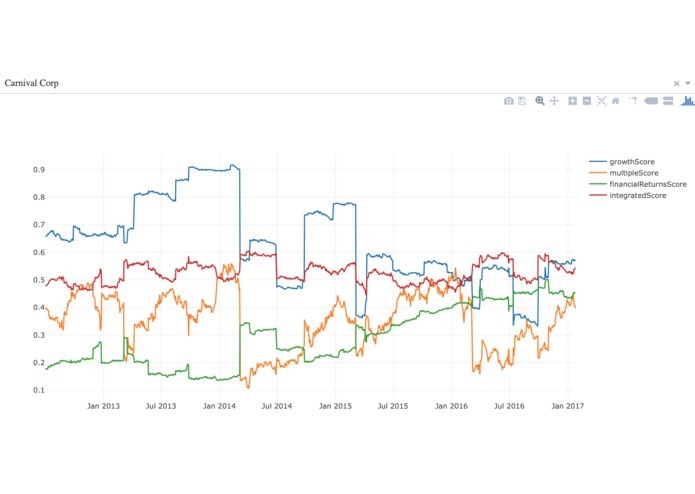 I pulled the JSON data from the API and developed the exploratory data analysis using Pandas, Fuzzywuzzy, Seaborn, and Scikit-learn. 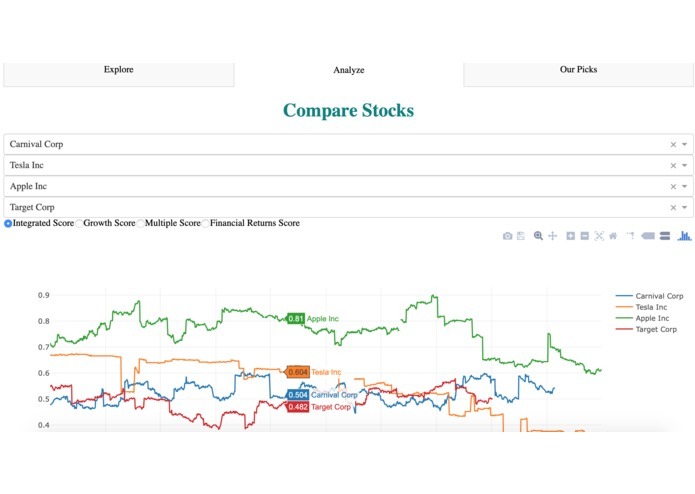 I extended the front end by combining all the graphs into one chart and making the 3rd tab which would recommend stocks to select. I used Python and Pandas to analyze the data, create visualizations. Further I created the front end using Dash. The first tab would give the plots of all four metrics for a given company chosen by the user. The second tab would compare different company scores.